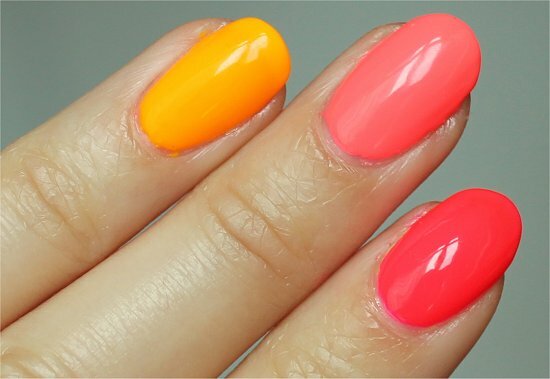 After removing that manicure, I was still in the mood for a neon, but I couldn’t decide on one to wear. So what did I do? 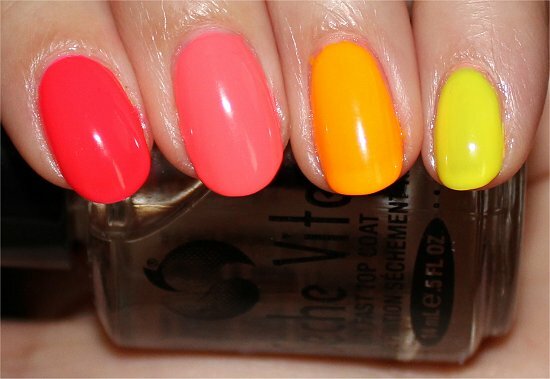 I decided to wear 4 of them at once in a Neon Ombre/Skittle Manicure! All of these colours come from the China Glaze Poolside Collection. 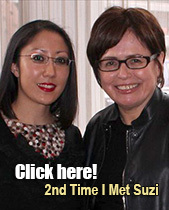 I’ve worn 5 of the colours from this collection and have blogged about 3 of them. In person, these colours are as bright as highlighter markers! They scream summer to me, and I’m still wearing it because I can’t bring myself to remove it yet. If you can’t narrow down which polish to wear, do you sometimes wear them all at once? Which neons are your favourites? 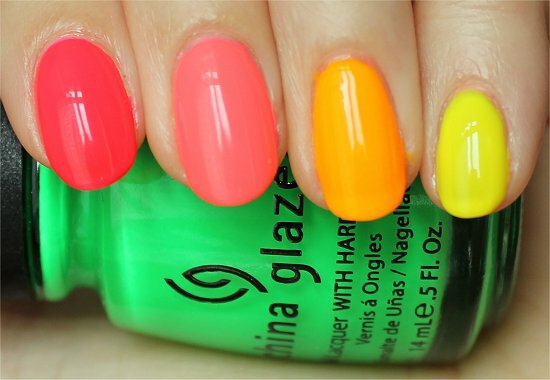 This entry was posted in Nail Art, Nail Polish Swatches & Reviews, Product Reviews and tagged China Glaze on March 24, 2012 by Mary S..
Heck, anytime you’re feeling down and need a quick pick-me-up, neons always do it! 😀 Glad you dig it. Loving how it looks on you! That’ll look great on my daughter with her skin tone! Thanks! 🙂 Now whenever I can’t decide on a colour to wear, I’m just going to wear them all. Haha! Gosia recently posted: Hunger Games mani… and my first nail art! Your mani is making me crave a good smoothie 🙂 I’m really loving pool party as well, that has to go on my list! And you talking about a smoothie is making me crave one! Yum! Do you ever make your own smoothies? A few years ago, I used to make them all the time. They’re so easy to make, so delicious, and so nutritious. Haha, very true! Y’know what? I’ve NEVER had a pina colada before. Does that shock you? Hmm…I think my favourite summer alcoholic beverage (even though I don’t have it often) is the mojito – so refreshing! So fun and pretty! It makes me want to go to the beach! And if you wore this look to the beach, the sunshine would make all the neons pop even more. Good idea! Great skittle manicure. I would love to own that collection! China Glaze made my favourite neons. From that Poolside Collection, I highly recommend Flip Flop Fantasy, Pool Party, and Kiwi Cool-Ada. The others are okay, but don’t pop quite as much or they’re streakier. Also, if you wear them, you MUST wear a top coat for them to look good. By themselves, they just dry really dull and streaky. 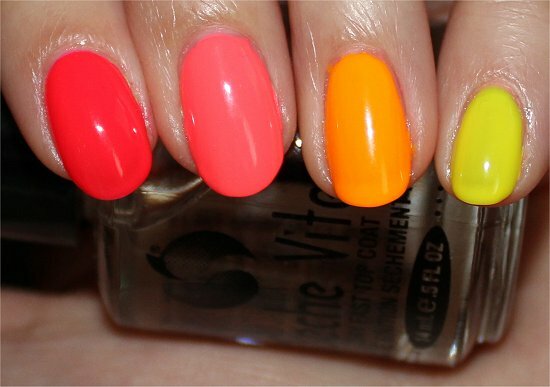 Neon skittle nails, awesome! There’s such gray, dreary weather right now where I’m at and this post really brightened my day! Makes me want summer to get here already :). 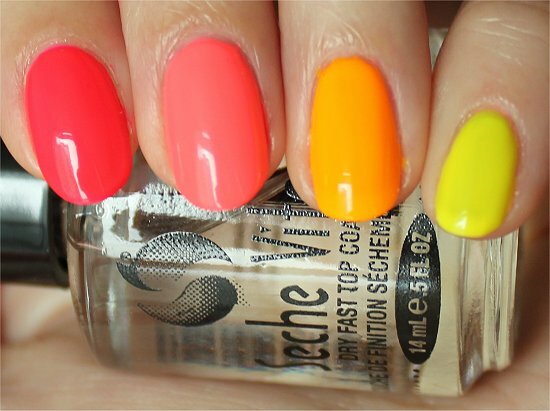 I did notice how you needed to use at least 3 coats for each color–is that typical of neon nail polish? I’ve never worn or owned any neons. For all the neon polishes that I own, yes, it seems to be pretty typical to use 3 coats for the best finish. Although, you could use 2 coats for Flip Flop Fantasy and Pool Party. But neons dry dull and somewhat streaky. It’s only when you apply a top coat that the look appears more finished. 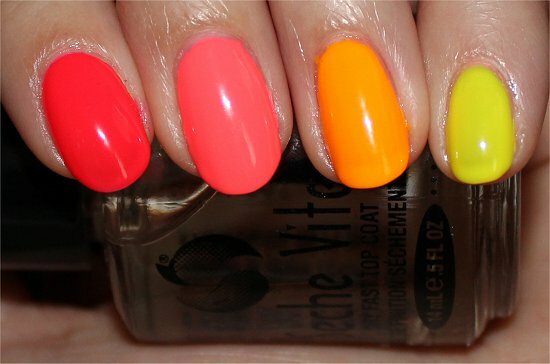 So, when I’m painting my nails with neon polishes, I like to use at least 3 coats to ensure that the finish is less streaky. Also, with yellow, I find that no matter how many coats I use, it always ends up streaky. Here, I used 4 coats, and in person, you can see it’s streaky. Oddly, my photos of it turned out less streaky than in real life! I love this, but what color did you paint on your thumb nail?! lol! On my thumbs, I have China Glaze Yellow Polka Dot Bikini, which is the same colour that’s on my pinkie finger. I wish I was drawn to bright neon colors. They look so good on your and other people’s nails. I have bought a couple colors but they just sit in my stash staring at me, mocking me. Maybe I’ll try them as a pedi and see how that goes. Bust those suckers out! 😀 They look even more brilliant on your nails than in the bottle. 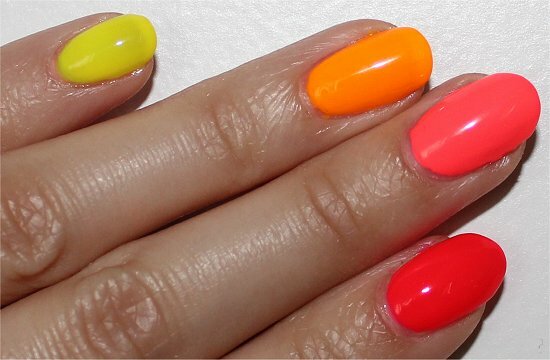 Trust me – when you wear your first neon manicure, you’ll keep looking down. And don’t be surprised if everyone around you also stares at your nails. They really get a lot of attention! This is so much fun!!! 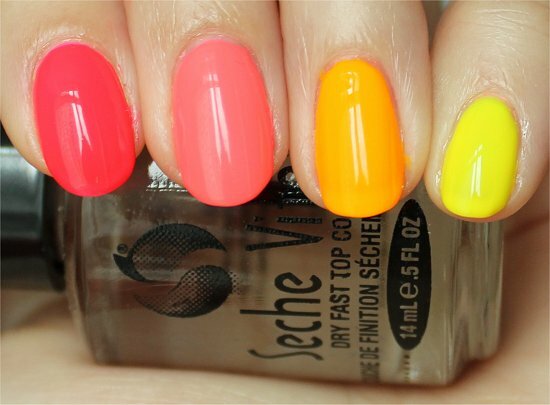 It makes me excited that summer is just around the corner =) I never do skittles manicures but this makes me want to do one soon =) I’m a huge fan of neons so this is right up my alley. 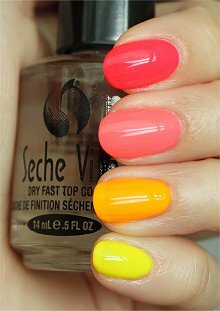 This looks so fab – it might be among my all time fav skittle manis – I feel now I need to get all the other colors used here. I have and also am in love with Flip-Flop Fantasy. Just this week something came up on my HS list serv about wearing thongs and were they called flip-flops or go-aheads (which is a So. CA term from the 50s and 60’s I think)…I said as close as I come to wearing flip flops now days due to I cannot break my toes into the toe thing anymore is my polish called – you got it…FFF! Wow, really? Thank you! 😀 Glad that you loved it as much as I did. Yes, you need that China Glaze Poolside Collection – it’s fab! You’ve done tons of nail art and it’s all been so cute, but this is my new favourite! It’s fun and so cute on you! Thank you! 🙂 And this look was the easiest of all to do, so that’s even better! This is such a fun mani!! I love it! You should try it. I always say that I can imagine certain polishes looking good on you, but THESE, I KNOW will be a knockout on you! OK… I swear I have looked at this post over 4 times and love it each and every time more! I am just now getting around to commenting though. 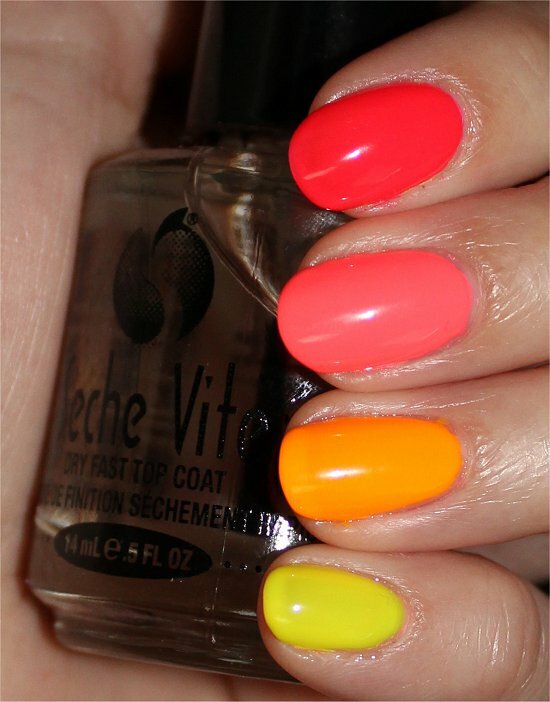 I have tried the ombre manicure only once thus far… but I ADORE your NEON take on it!!!! This is playful and yet so well put together! I agree, it is a great way to play with a number of shades… all at once. 😀 (and it is not illegal or frowned upon which is a bonus 😉 ). Flip Flop Fantasy is back-up worthy! I’ve put the biggest dent in that polish compared to any other colour. I know how much you like pina coladas. 🙂 They’re your ‘vacation drink’. I’ve never tried it. Am I the last person who hasn’t? 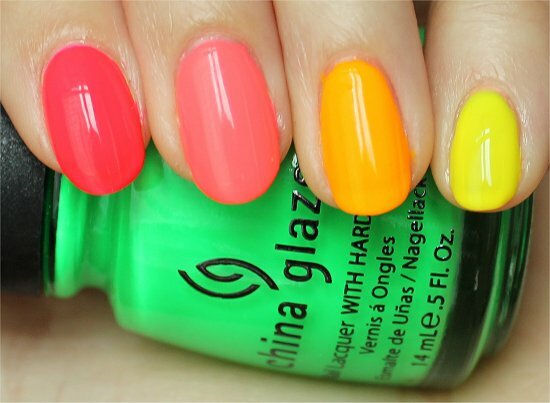 China Glaze Kiwi Cool-Ada from the same Poolside Collection is an amazing neon green. Yes, it dries matte, is streaky, and shows some visible nail line even with multiple coats, but it really is radioactive-looking. This is the only neon green I have in my stash, actually! 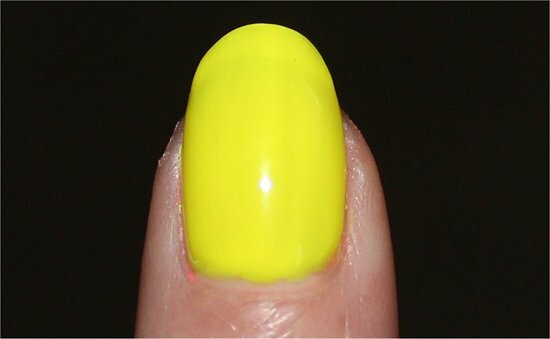 As for a neon yellow, I suggest NOT buying China Glaze Yellow Polka Dot Bikini. It’s the streakiest in the Poolside Collection, and I wasn’t impressed with it, even after 4 coats. 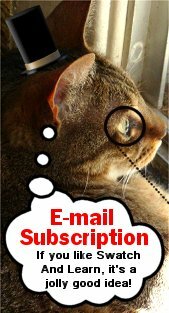 That’s pretty much my cut-off. If a polish needs 5 or more coats, I can’t be bothered. That being said, neons dry faster, so maybe to you, 5+ coats isn’t such a bad thing. Actually, unless I’ve done full-nail stamping with Konad image plates, I don’t do any clean up. When I paint my nails and do just a regular manicure (i.e. no nail art), I just take my time applying the polish. I place the brush in the middle of my nail near the cuticle, but still leaving a slight gap. Then I brush downwards. I repeat on the sides as many times as needed to get a better finish. With the second coat, usually the area near the cuticle looks better.